Celebrate the Children’s founder, Monica G. Osgood, is an experienced behavioral consultant and therapist who specializes in using developmental approaches to support children with autism and other differences in relating and communicating. She is also the Founder and Director of the Developmental Center for Children and Families and Executive Director and a founding member of the Profectum Foundation. Monica has worked in homes, therapy centers, and private and public school settings for over 20 years. 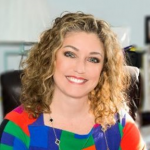 Some of her experience has included assessment and the development of intervention programs, curriculum and IEP development, and parent and professional training. In 1998, Monica created the first public school program with the Developmental Individual Relationship-based (DIR model) approach as the core philosophy. ​In 2000, she was the first educator to join the senior faculty of the Interdisciplinary Council on Development and Learning(ICDL) to provide interdisciplinary training in the DIR model. During her time with ICDL, Monica served as faculty for all of their yearly training institutes, spoke at many of their conferences and had the opportunity to work closely and collaborate with Drs. Greenspan and Wieder to further develop the DIR model in school settings. ​In 2004, she collaborated with Lauren Blaszak to open a state-approved, DIR model school for children ages 3-21 in Denville, New Jersey, now serving over 70 school districts and 130 families. Additional accomplishments include, many speaking engagements at conferences and participation in television, radio and newspaper interviews across the USA, Wales, Ireland and Amsterdam. Monica has appeared on Welsh Channel 4 and BBC1 documentaries, sharing the DIR model approach with British parents and professionals. Monica and the Celebrate the Children school were featured in a TIME Magazine cover story in May of 2006. ​She serves on the Advisory Board for 3LPlace and the National Advisory Council for The Centers for Exceptional Children​. Monica also serves on the Economic Development Advisory Council and the Sustainable Economic Development Plan Steering Committee for her local Town Council. Finally, she collaborated with twice Grammy nominated children’s artists Dan Myers and Brady Rymer on an album and music video celebrating diversity in children with all abilities released April 2011. Celebrate the Children (CTC) has been providing services for children with difficulties in relating, communicating and thinking since 1995. CTC is a progressive program based on the Developmental Individual Relationship based (DIR) intervention model developed by Drs. Stanley Greenspan and Serena Wieder. This NJ state-approved comprehensive school program uses a dynamic interdisciplinary approach that prepares students ages 3-21 for success in the 21st century.